The typical U.S. diet is too low in fruits and vegetables, too low in whole grains, and too high in sodium. 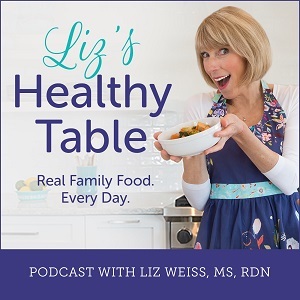 Don’t despair, because boosting the number of fruits, veggies, whole grains, and other good-for-you ingredients in your family’s diet, is just a recipe away. 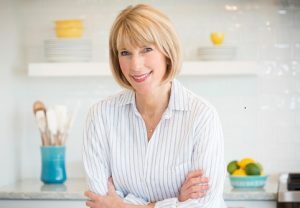 In Part #2 of our 5-part series on Easy Ways to Improve Your Family’s Diet, I have five tips for Weaving One (or more!) 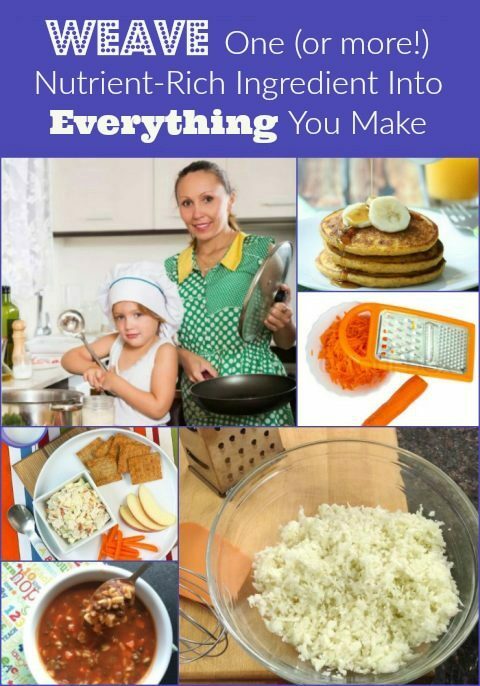 Nutrient-Rich Ingredient into Everything You Make. 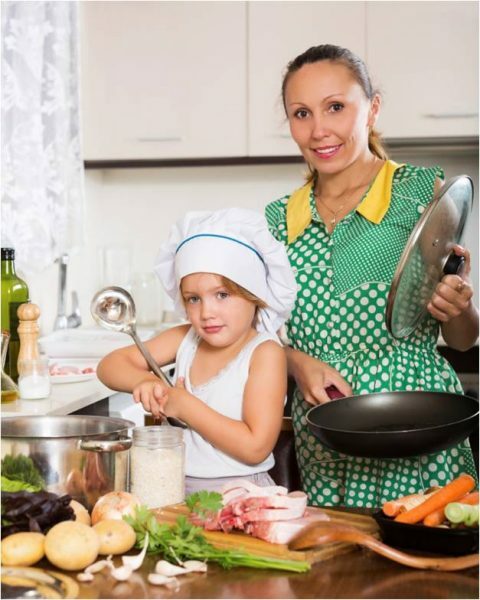 What’s missing from your family’s diet? Fruits? Vegetables? Calcium-rich dairy? 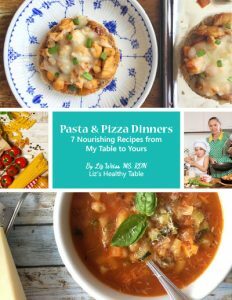 Beans and legumes? Whole grains? 1. Weave in Pulses: Beans, chickpeas, lentils and other pulses add fiber, iron, potassium and zinc to everyday recipes. Add black beans to tacos, chickpeas to stews, and lentils to soups. Heck, you can even add beans to brownies! 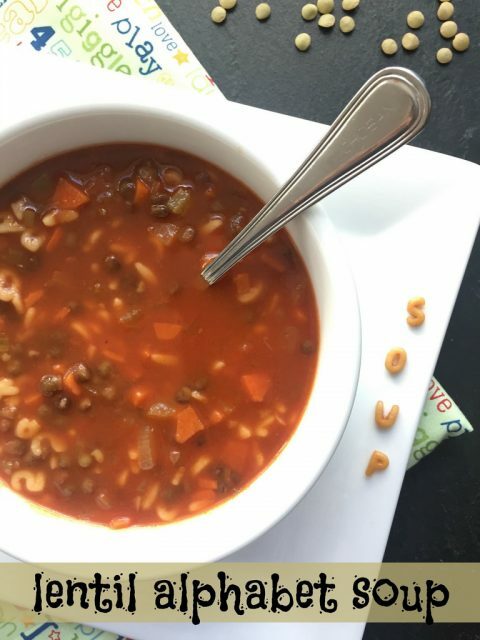 My Lentil Alphabet Soup has big-time kid appeal because the lentils blend right in with the alphabet pasta and the tiny bits of sautéed carrot. 2. 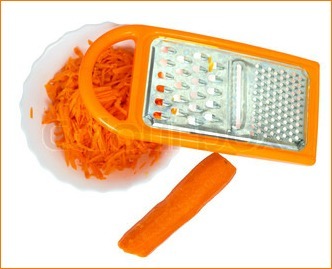 Add a Shredded Carrot: Peel a carrot and then shred on the large holes of a box grater. 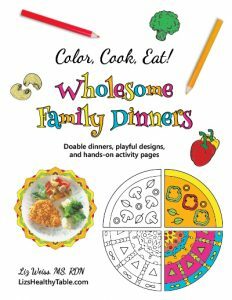 It takes just a minute but brings a boatload of good nutrition when sautéed and added to ground beef or turkey for tacos or sloppy Joe’s or mixed into tuna or salmon cakes. 3. Bring on the Greek Yogurt: Greek yogurt is packed with calcium and protein and it delivers a creamy texture to smoothies and smoothie bowls. You can use it instead of cream cheese for cake and cupcake frostings or add to chicken, tuna, and egg salad in place of all of some of the mayo. 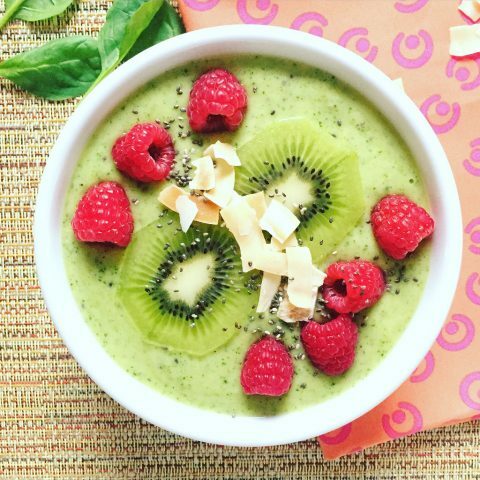 my Gorgeous Green Smoothie Bowl gets thickened with Greek yogurt. I could eat this every day! 4. 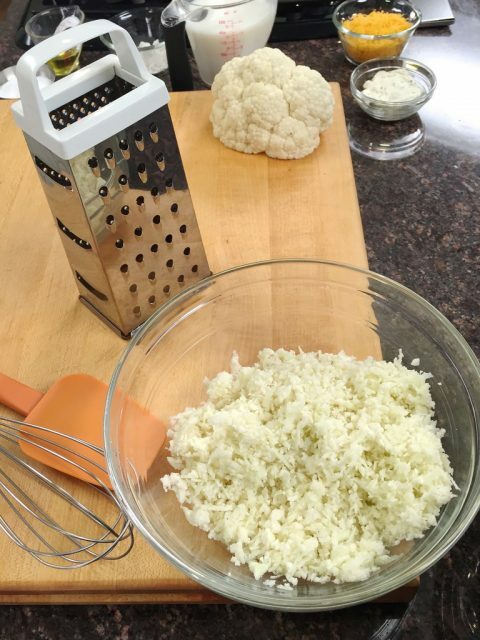 Make Cauliflower Rice: Shred cauliflower on the large holes of a box grater and what you’ll get is cauliflower “rice.” You can sauté and add to mac & cheese, and you can even use it for making a gluten-free pizza crust. You can now find pre-bagged cauliflower rice at some supermarkets. Look in the produce and freezer sections. 5. Use 50/50 Whole Wheat Flour: Whenever you’re baking cookies, quick breads, or muffins or making pancakes or waffles, swap out half of the white flour for whole wheat. You can use regular whole wheat flour or try whole wheat pastry flour or even white whole wheat flour. 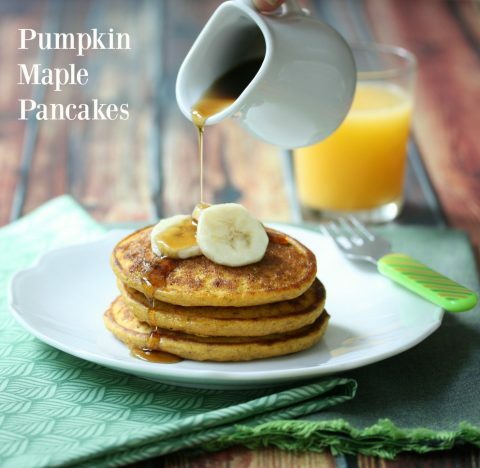 My Pumpkin Maple Pancakes call for 3/4 cup whole wheat and 3/4 cup white.